Mark Thomas began working in the restaurant industry over 16 years ago and has been hooked ever since. Mark is also a dog lover, and I&apos;m not just talking about pets. Almost a month ago he opened CJ&apos;s Street Food, Raleigh&apos;s newest gastrodog cart. Remember how I told you Mark&apos;s a dog lover? Well, I wasn&apos;t kidding. 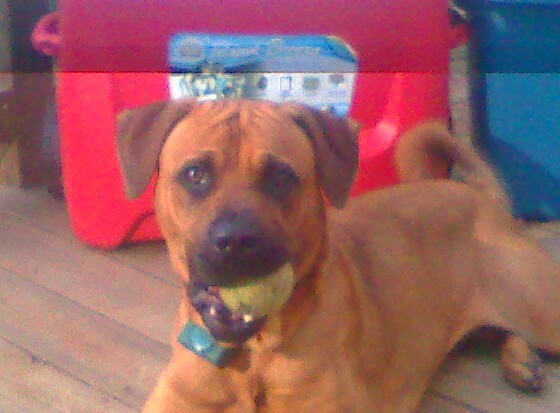 CJ&apos;s Street Food is named after Mark&apos;s two dogs, Casey and Jasmine. 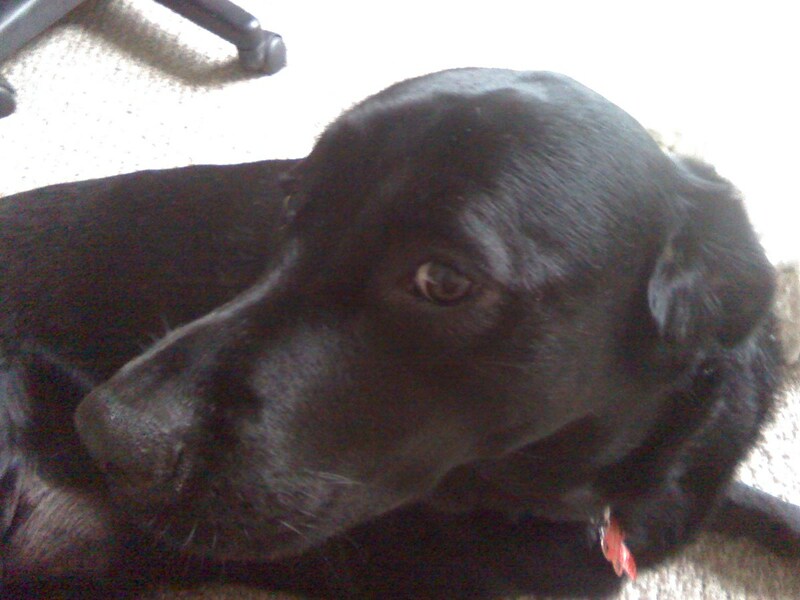 Casey is a black labrador retriever and Jasmine is a boxer mix, or as Mark likes to call her, "the problem child." Although his two dogs are spoiled rotten, Casey and Jasmine aren&apos;t allowed to eat from the gastrodog cart. Thankfully, these phenomenal gastrodogs are for Foodies to enjoy! Mark was watching an episode of the Cooking Channel&apos;s Food Truck Revolution when he got the idea to create his own food concept. He wanted to elevate street food in the Raleigh area and saw the opportunity to open a food truck and cart. Mark loves hot dogs and sausages and when it was time for him to design a menu, the possibilities were endless. 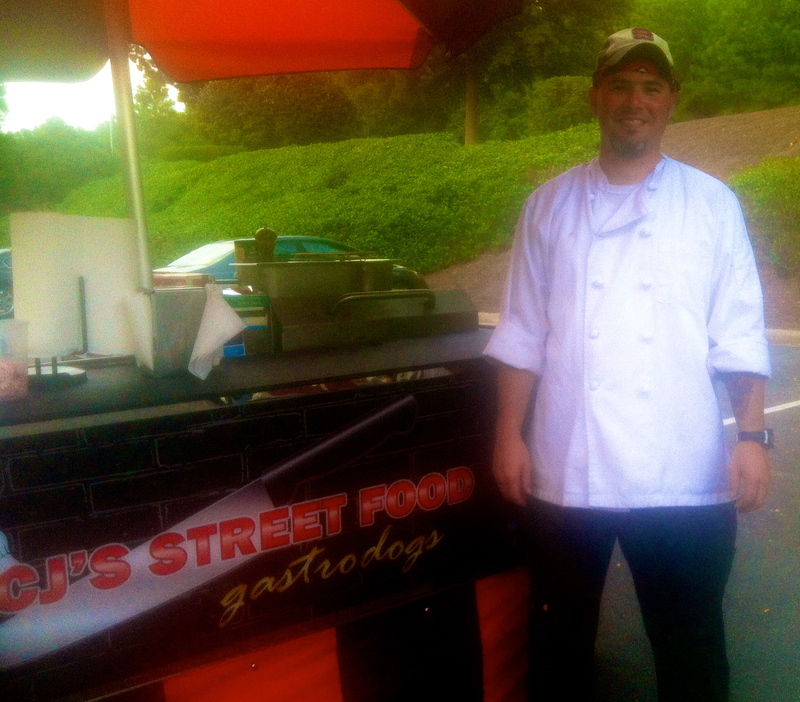 Mark is new to the street food scene and is currently slingin&apos; dogs from the gastrodog cart on Hillsborough Street. He is open every weekday for breakfast and lunch, just look for the cart across from North Carolina State University&apos;s D.H. Hill Library. Mark typically sets up around 10am and operates until 3pm. He plans to open around 8am and close at 2pm now that he&apos;s getting into the swing of things on Hillsborough Street. You can&apos;t miss him, he&apos;s always wearing a Wolfpack hat and standing under a black and red umbrella. Although Mark tries to discipline himself, sometimes he caves to enjoy a delicious gastrodog. The breakfast sausage dog is a huge hit, which includes two breakfast sausage links, melted cheese, maple syrup and a toasted hot dog bun brushed with Mark&apos;s homemade French toast butter. Just the thought of the breakfast gastrodog makes me want to rise and shine! Last time I visited Mark, I sampled three of his gastrodogs. The spicy kimchi dog is the most popular on Hillsborough Street and I can see why! Mark tops an all-beef hot dog with spicy kimchi and sriracha hot sauce. The kimchi is homemade and takes about three weeks to produce. 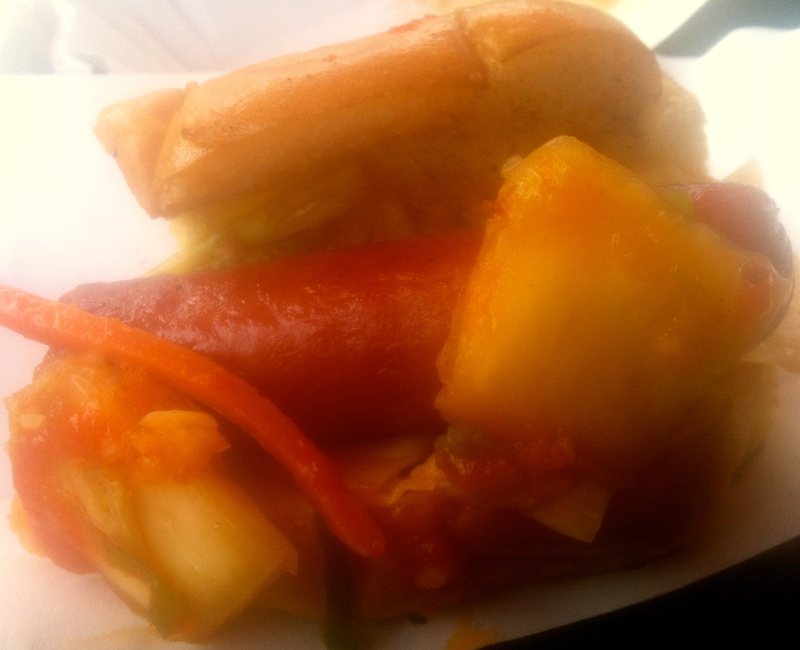 I can&apos;t stop thinking about the savory and spicy kimchi dog. Every day for lunch I start craving one of these unique hot dogs. Bill&apos;s Buffalo Dog blew everyone away at the Durham Central Park food truck rodeo, Mark&apos;s first event outside of his usual Hillsborough Street set up. Mark tops an all-beef hot dog with shredded buffalo chicken and bleu cheese crumbles. 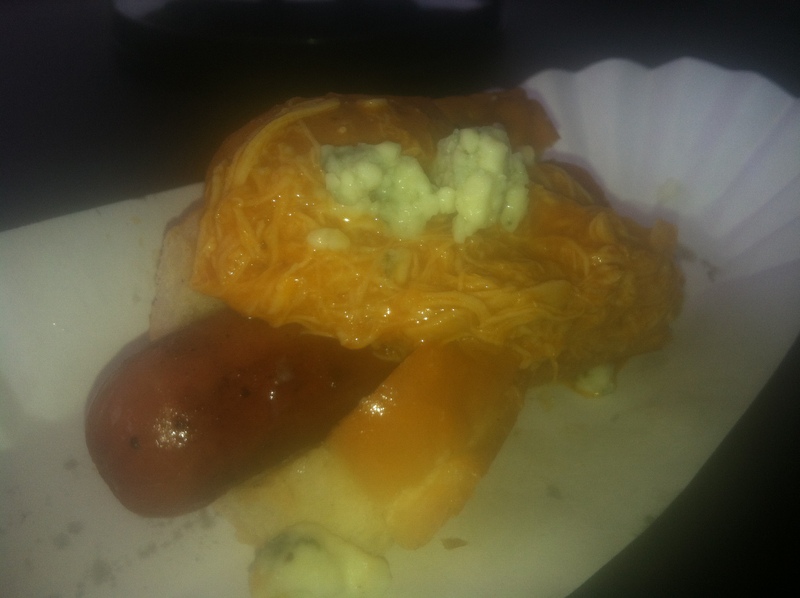 Mark&apos;s wife is a huge Buffalo Bill&apos;s fan and she thought up this latest gastrodog. One thing I admire about Mark is that he is open to new ideas. If a customer gives Mark an idea for a gastrodog, he will experiment. Once Mark deems the dog good enough to make the menu, he names the latest creation after the customer. I&apos;m currently working on creating the "K-Dawg;" hopefully it will include some type of chocolate. A guy Mark used to cook with gave him the idea for the Flippo Dog, an all-beef hot dog topped with bacon macaroni and cheese and bread crumbs. Talk about decadent! All I needed was a North Carolina beer to wash this cheesy, savory goodness down. Honestly, it&apos;s the American dream; cheese, bacon, beef and beer! Mark is filled with new gastrodog ideas. One of his regulars on Hillsborough Street wants him to try an all-beef hot dog topped with bittersweet chocolate and bacon jam. Mark has also played with the Chicago dog idea, which includes sliced tomatoes, mozzarella cheese and basil aioli. One of the most creative gastrodogs Mark has served was the surf and turf, with butter-poached lobster and an herb dressing. Not only does Mark have options for any adventurous hot dog eater, he also has vegan options. His latest vegan creation included tofu vegan sausage served with apple cider vinegar slaw. There&apos;s even a rumor that his new gastrodog will be topped with goat cheese ice cream! The best part about the gastrodogs is the price, $4 for lunch doesn&apos;t break my bank account. I&apos;m really looking forward to seeing what Mark has up his sleeve for his food truck. The truck is being built in Texas and he will be flying out to the pick up the truck during the beginning of October. The truck will be black with bricks in the background. He also plans on having a big cartoon chef on the side of the truck, next to the order window. The chef will have an oversized belly and a big grin. Once Mark makes the trek from Texas back to North Carolina, the truck will be operating and offering international street food. Some items we have to look forward to include Asian steamed buns, tacos, noodle and rice bowls, lobster crème brûlée and arepas. Mark plans to offer affordable food made from fresh ingredients. He also plans to jam out to 80&apos;s hair metal while cooking up some awesome street food. It&apos;s his guilty pleasure. Mark believes the most rewarding part of his job is interacting with people and seeing their reactions to his gastrodog ideas. Everyone needs to head on out to Hillsborough Street to meet Mark and enjoy one of his latest creations.